Do You Sell Health Supplements? Authentically Recommend Products To Your Clients! While developing MLM, businessmen and consultants know that this is a work, which brings great profits, there are a lot of perspectives in it, but a lot of difficulties as well. The most important part in the work of such companies is the speed and quality of the structure growth through leaders, and what is even more important – how they maintain this structure, which is initially divided into the team core (subleaders) and consumer audience. Team core is the moving power to build leader structure. That is why subleaders should obtain effective sales tools, which can help creating and retaining the main mass of the structure – consumers. VedaPulse is an expert system allowing a consultant of the network company to increase profit by means of increasing and retaining personal consumer structure. Today, the market offers a ton of products and each of them is good in its own way. However, modern consumer already has had enough of the sounding promises and well-made presentations. He needs PROOF OF EFFECTIVENESS of your products! This proof motivates a consumer to buy. He will become your loyal returning customer only if he receives rock hard evidence of this product’s benefits for him. VedaPulse is an expert system allowing a consultant of an MLM company to evaluate the functional state of a person and form individual recommendations for taking supplements. It is not a secret that oftentimes the main difficulty for the sales process of food supplements and cosmceuticals is lack of consultants’ knowledge about the properties and intended use of products, as well as absence of medical education. Commonly they use information given on the seminars and in presentations by their mentors. For this very reason a very important factor of the returning sales is informational channels. Building up telemetric systems between consultants and consumers will allow getting the sales going regardless of the distance between them. Such system will give subleaders a possibility to build consumer structure in the entire region and give support to consultants in remote areas without the need to meet them in person. Today, by virtue of the modern software solutions, leaders and consultants of the MLM companies can make a breakthrough in the growth of their structure and increase profits tenfold. VedaPulse expert system is the missing link and conclusive proof for the leaders and consultants of the MLM business. The one, who has the proof, can make lots of sales on a constant basis and without making mistakes. With a tool like VedaPulse, clients will receive their proofs – fast, without doubts and effortless for a specialist. Current companies with their supplements in the Supplements module of VedaPulse system. We constantly work to increase this list and ready for new offers. What is the process of choosing supplements? After a 5-minute assessment of the heart rhythms, VedaPulse software analyses functional state of the client and forms individual rehabilitation program, which includes administration of the supplements, which are specifically suitable for this particular person. Choosing supplements is done with consideration of the individual results of the assessment and the disease, which software users choose from the list. 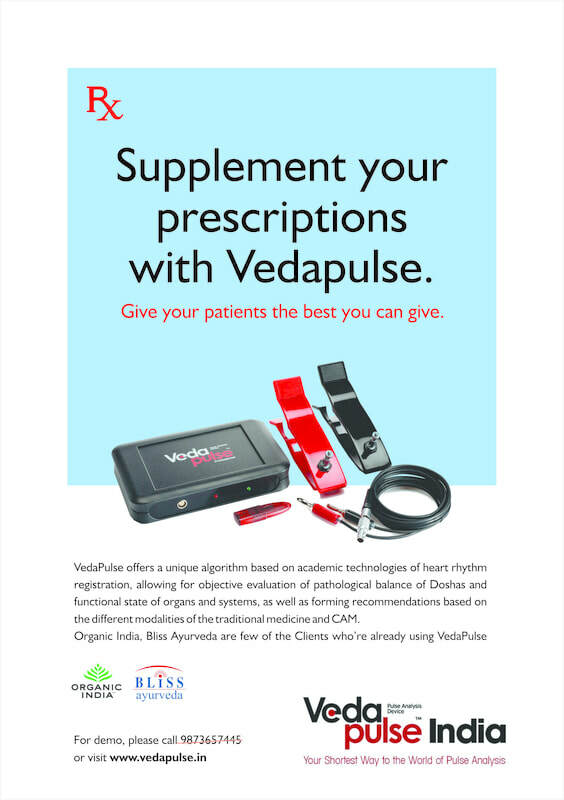 Program algorithm of VedaPulse has 160 most common diseases. Recommendations received are based on both herbal therapy and approaches used in the Eastern medicine (Ayurveda, Tibetian medicine, traditional Chinese medicine). These recommendations can be saved either in MS Word format or printed. Using VedaPulse automatizes the process of choosing supplements, makes it more precise and allows the clients to get proofs, which promote sales growth. Professional kit of the specialist involved in supplements sales includes VedaPulse hardware and software kit and a selection of expert software extensions.